When Marwan Oklah Al Zou'bi and Adam Barghouti were studying indoors during Canada’s harsh winters, ordering homemade food through Whatsapp was both a luxury and a saving grace. But receiving only the name of the meal and the prices was insufficient and not very enticing to their taste buds. What was lacking were pictures, portions and ingredients. Upon returning to Jordan, they took their Canada-born idea and launched Daymeh two months ago. Daymeh is a home cooked meal delivery service application that connects home cooks to customers. Each cook has a personal profile on the app to publish information about his/her meals. Customers scroll through the different profiles to fill their baskets with their orders, which are delivered to their doors using geolocation technology. Daymeh is not alone in offering this service. Bilforon, which also launched this summer, is based on a similar concept. Both platforms offer daily homemade dishes, pre-ordered meals and provide a service for individuals as well as corporations. The business is relevant, according to Bilforon’s founder Mohammad Albattikhi, because the demand for and supply of home-cooked food is increasing. People are becoming more aware of what they eat, said Albattikhi. 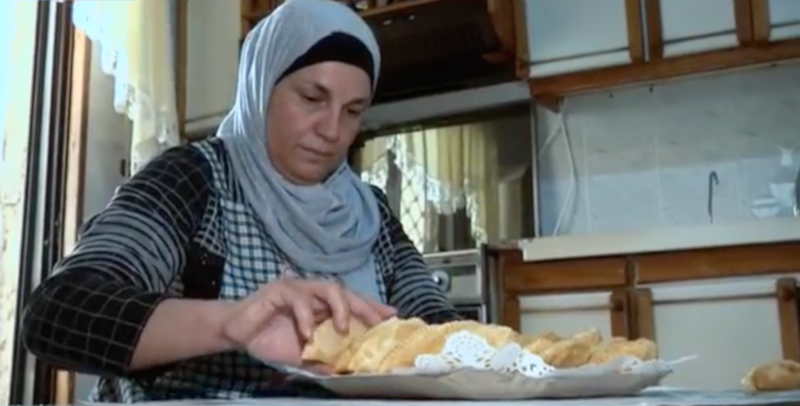 Not only is there an increased desire for home-cooked meals made easy, but among the Syrian refugee community in Jordan, cooking is an opportunity to generate income. Since hygiene and quality of food are a concern to many customers, especially in the Arab world, both companies perform general checks as a form of regulation. They are also assisting unlicensed cooks to get legal permits. Food delivery aggregators, food apps, and delivery of homemade meals is not new, but it is the combination of the three that make applications like Bilforon and Daymeh significant. 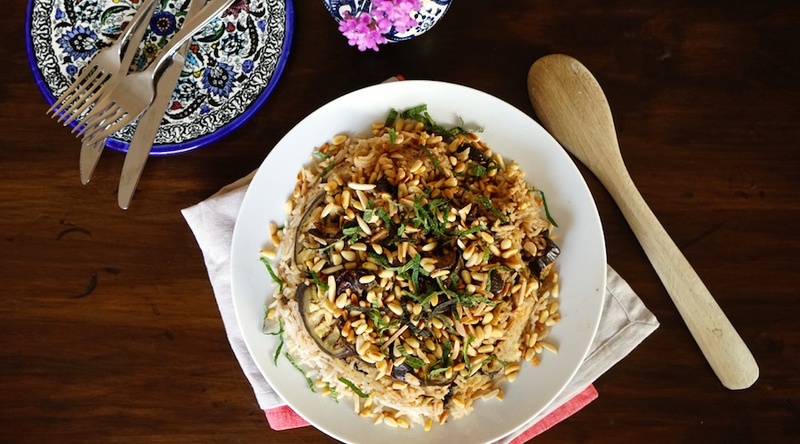 Bilforon cook Sawsan Nasser, who has been selling homemade food since 2011, considers the app an extra marketing channel to Facebook and word of mouth. The problem with Facebook, she said, is that you need to spend on marketing in order to reach a wide audience, and you are more prone to attracting customers that are not part of your target audience. 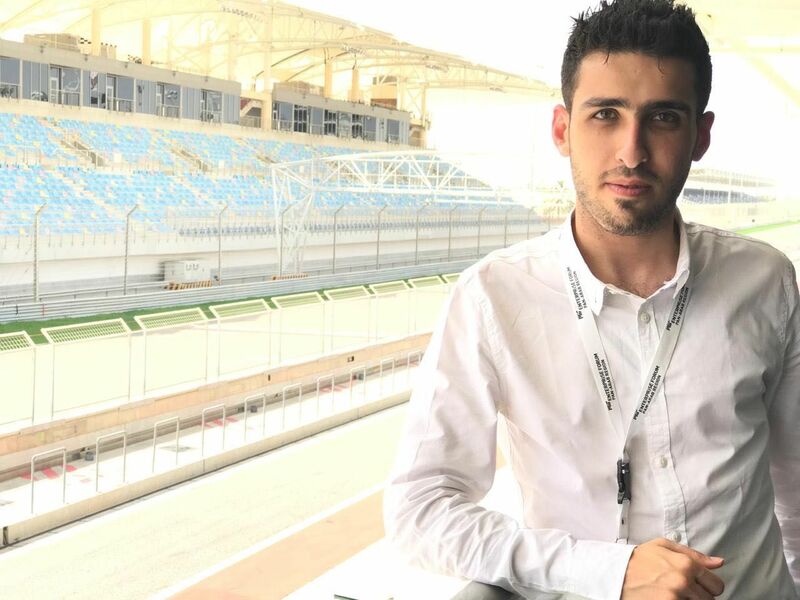 “It is my first time being a part of an application, and I am surprised how well it’s going…we received more customers, and since the managing team takes care of the customer and the delivery, our load is reduced,” said Nasser. Similarly, Daymeh customer Fida Taher who is also the founder of the recipe guide app Atbaqi believes that these apps had succeeded in automating the ‘ordering’ process unlike other platforms. If you were using Facebook or Instagram to buy your food, you still needed to make a phone call and give your address, she said. “We feel that there could be a lot of synergy between Atbaqi and such applications, because the thousands of users who are publishing their recipes are interested in selling their food and generating income; many of them also have existing businesses,” she added. The ease, efficiency, and accuracy of online ordering makes other traditional forms much less appealing. “Imagine that five people are ordering through the phone at the same time; five people would need to be hired, or the customers would have to wait,” said Basem Aggad, managing partner of the homemade food kitchen and delivery service Kitchenette. Although Kitchenette still receives orders through the phone, 70 percent of the users use the website or Ifood, and mostly through phones and tablets rather than desktops. Aggad believes that in 2012 there was a surge of homemade food delivery businesses in Jordan, however it didn’t pick up because the delivery process required more preparation than junk food. According to Bilforon technical advisor Yousef Wadi full automation of the delivery and ordering processes is crucial. The company, which hosts 35 cooks and has received more than 600 orders and made 5000 meals, does not rely on GPS and is still manually calling cooks and delivery companies to pass on the orders. However, ​​​​​​it is now looking into more convenient practices such as distributing small printers to the cooks so that they can directly receive written orders. “We want to make sure that we don’t hire excessively because the margin of profit in this kind of business is very tricky. If you overspend you never become profitable, you need to be very smart about it,” said Wadi, who mentioned that scaling into the GCC was one of the company’s objectives. On the other hand, Daymeh which has reached over a 100 orders, is looking into partnering with an automated delivery startup that will be launched very soon in Jordan, rather than continuing to depend on freelance drivers. 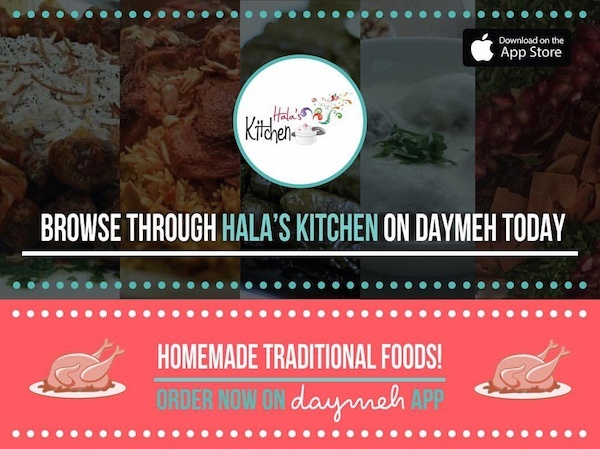 It is worth mentioning that Daymeh’s cooks get directly notified about the orders through the app, without the intervention of the managing team, and they can reject the orders if they wish. In addition to Daymeh, al-Zoubi and Barghouti launched a similar app in Canada a year ago. They are now working on releasing the Arabic edition of Daymeh as well as its Android version. The two applications are a living example of the food industry’s flexibility and adaptive nature towards technology and innovation. A 2014 study shows that 81 percent of the participants who use smartphones believe that in the past ten years technology has genuinely improved how well they eat. Other startups in the field include Yumamia in Egypt, Casserole in Dubai, Homemade and Wjbty in Saudi Arabia, and Yo3an in Kuwait.